The Advocate’s Will Sentell writes that more than a dozen public schools and districts in the state will soon receive over $8 million “to finance improvements in Louisiana’s first rollout of changes” from ESSA. The Dept. 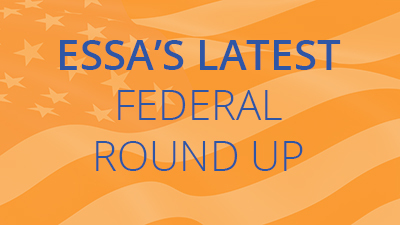 of Education approved ESSA plans from Connecticut and Louisiana. The Louisiana Association of Educators is touring communities across the state to address the needs of public schools. LAE held its third meeting last week for teachers, parents and other school employees to discuss ESSA. Louisiana holds stakeholder engagement meeting with community and civil rights advocates. Stakeholder engagement meeting with educators and education advocates. Click here to see the presentation for all three of the stakeholder meetings. Nearly 4,500 educators, representing every school in the state, gathered in New Orleans Thursday for the fourth annual Louisiana Teacher Leader Summit where State Superintendent John White touched ESSA and the need to keep students first in considering adjustments to state policies. Read more here. Superintendent White held three sessions on ESSA at the 2016 Teacher Leader Summit in New Orleans. Read more here. Governor John Bel Edwards signed an executive order creating the Governor’s Advisory Council on ESSA within the Office of the Governor. Read more here.